Over the next few weeks leading up to the Fall Boutique I will be highlighting the vendors that you will get to meet on October 27th. "I am an incredibly blessed wife and mama to 7 ( soon 8) miracle children. We have had the amazing privilege of adopting 6 of our children and you will see the passion of adoption and orphan care in many pieces I make. I am madly in-love with my Savior, Jesus Christ...without Him, I would be nothing." "To learn more about our family, you can check out our family blog at www.mycupoverfloweth.blogspot.com"
How did you come up with the idea to start Jubilee's Jewels? "I have been hand crafting jewlery for 20 years and absolutely enjoy making custom pieces. 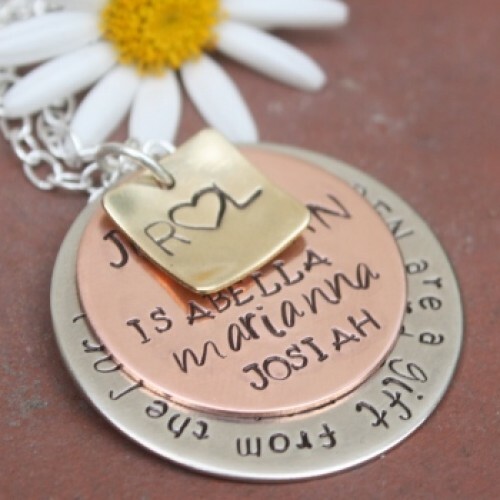 Our heart and vision for Jubilee's Jewels is to first finish raising the funds needed to pay for our surprise baby girl's adoption fees (our sweet Jubilee) and our newest surprise baby due in Nov. We are pleased to offer custom fundraising pieces to help adoptive parents, missionaries, and ministries we are passionate about." "My greatest joy is to create jewelry pieces that have a story behind them. I absolutely LOVE knowing all about who I'm creating the piece for and why." Where do we look to find your products? 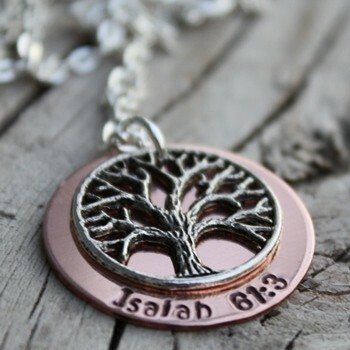 "You can view my pieces at www.jubileesjewels.com The possibilities are endless." 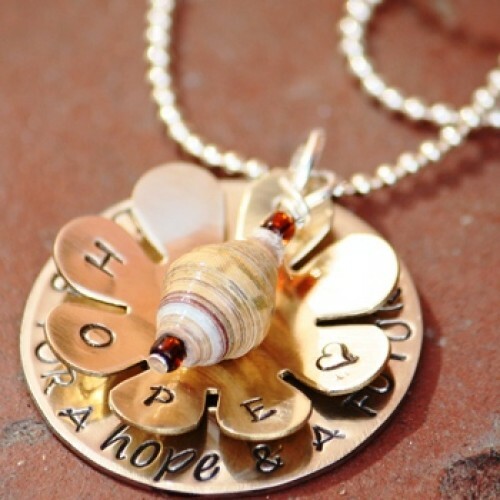 There are so many jewelry pieces to choose from and all such good causes. I really like how you can see which family benefits from your purchase of Jubilee's Jewels. Here's a small sample of Stacy's great jewelry that you can tell she puts much love into making.